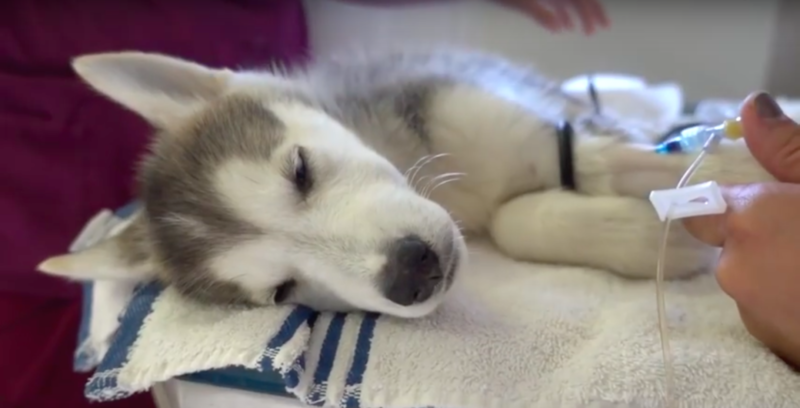 This little Pup, named Ice, was pulled from a shelter by Vet Ranch in order to save his life. He was very weak and in bad shape. His gums were very pale and he was infested with hookworms, which caused him to be anemic. He also had low blood sugar/pressure, and on top of it all, he was parvo positive. It seemed like the odds were stacked against this sweet little pup, but the staff at Vet Ranch refused to give up on him. They put him on an IV to try to raise his blood sugar/pressure and also gave him a blood transfusion. At this point, he still wasn’t interested in eating any food, but at least he was moving around a little bit more and sitting up. The next morning, he still didn’t want to eat, but he did drink some water. Since he didn’t want food, they did have to force-feed him a little bit so his blood sugar didn’t drop too low. A couple of days later, he was finally eating on his own! Two weeks later, he seemed like a whole new dog. He was wagging his tail and much more lively. He also grew so much! They ran a blood count and his levels were finally normal! When he was ready, they also neutered him. The foster who he was living with wound up adopting him! Not only is little Ice healthy again, but he has found his loving forever home! There were times that it seemed like he wouldn’t survive, but he had a lot of willpower in him and he trumped through it. 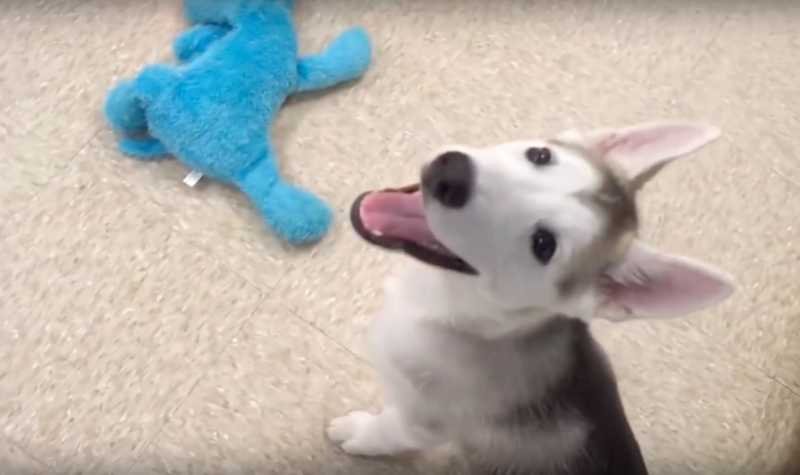 Now he can live a happy and healthy life with his new family!